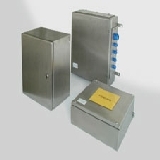 Stainless steel flange enclosures for applications in harsh environments in an approved material. Industrial execution with 1 and/or 4 flange openings. Ideal operating conditions for all electrical components - easier entrance to interior by large flange opening area. Custom made dimensions from 25 pcs. Polyester enclosure systems for use in all Ex zones. Production in accordance with EC Directive 94/9 (ATEX 100a). 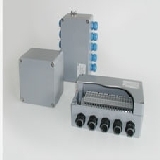 Polyester GRP enclosures for use in all Ex-zones. Production in accordance with EC Directive 94/9 (ATEX 100a). Polyester GRP enclosure systems for use in all Ex zones. Production in accordance with EC Directive 94/9 (ATEX 100a). 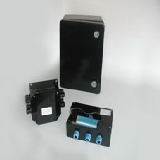 Polyester GRP enclosure systems for use in all Ex zones. Production in accordance with EC Directive 94/9 (ATEX 100a). Polyglas GRP enclosures for use in all Ex-zones. Production in accordance with EC Directive 94/9 (ATEX 100a).